This frightening, but extremely moving and romantic horror film stars Jeff Goldblum as an over-ambitious scientist who accidentally merges with a housefly while conducting a bizarre teleporting experiment. A journalist (Genna Davis) who has fallen in love with him while covering his scientific endeavors, suddenly finds herself caring for a horrifying creature whose insect half gradually begins to take over. $7.007 million on 1195 screens. When David Cronenberg's remake of The Fly hit screens in 1986, it made for a surprisingly effective experience, one that I hadn't thought I'd like. The Fly is usually classified as a horror film, but I think that designation limits it too much. To be certain, it contains a number of classic "scary movie" elements such as some jolts as well as more than its fair share of gross and/or creepy moments. Although The Fly features very little violence, it makes up for this with all of the disgusting - but effective- shots we find as Seth Brundle (Jeff Goldblum) slowly mutates into another creature. However, I think that at its heart, The Fly is a tragedy. Actually, I know that it's a tragedy, as it perfectly fits the definition of that term: "a serious play or drama typically dealing with the problems of a central character, leading to an unhappy or disastrous ending brought on by fate and a tragic flaw in this character". Without providing too many of the story's details, let's just say that description nails the content of this film. When The Fly made its rounds at our college's student union, I'd already seen it once and was eager to view it again. My friends mocked me because I'd told them how moving the film was; they simply couldn't believe some cheesy horror flick could possess any form of emotional punch. After we all saw the film, they ridiculed me no more (about The Fly, at least). As Seth's girlfriend Ronnie, Geena Davis also provides solid work. In some ways, she has the tougher role just because she's the one who has to act as the audience's contact person. Ronnie is the way we keep in touch with the story, since I think most of us - even the nerdy engineers in the crowd - identify with her more closely. Seth departs from the realm of reality too quickly for us to be able to stay with him, but Ronnie is the human constant in the movie, and is the one who has to make the toughest decisions. Seth has no choice as to what fate will befall him, but Ronnie can select her own path. Davis keeps the character nicely grounded and avoids sentimental or sappy pitfalls. One aspect of the film that deserves special note is Howard Shore's excellent score. The music adds a lovely element of pathos and emotion to the proceedings that easily could have been dashed. How easily? Check out the temp music used in the movie's trailer; that cheesy synthesizer junk would have ruined the film. Shore seems to have a wonderful knack for bringing out the underlying feeling in movies that formally belong to the horror/thriller genre. He also did the scores for Se7en and The Silence of the Lambs, the two best films of that sort made in the Nineties. Although David Cronenberg does a good job of directing the film, I must admit I wish he'd not made the movie so graphically disgusting. The goo and nastiness doesn't bother me, but I think it kept the picture from the wider audience it deserved. Also, the most awkward parts of the movie revolve around gross-out scenes. Some of these stand out uncomfortably and seem ill-placed within the story's structure; I think Cronenberg just felt like tossing out some sliminess and ignored the logical progress of the tale. Nonetheless, even with those abrupt and awkward segments plus some weak dialogue and silly plot constructs - teaching the computer about the flesh indeed! - The Fly works very well. Those is search of a gory, campy horror flick will be disappointed, but anyone who'd like to see a touching, well-acted tragedy will be more than pleased with The Fly. 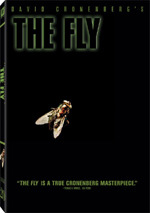 The Fly appears in an aspect ratio of approximately 1.85:1 on this single-sided, double-layered DVD; the image has been enhanced for 16X9 televisions. 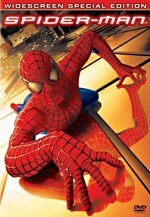 Although some parts of the film looked great, a mix of problems also appeared. Although some slight softness crept into the image from time to time, the movie usually appeared pretty crisp and well-defined. A modicum of edge enhancement created occasional distractions, though, and led to a little softness. Those concerns failed to become major. Moiré effects and jagged edges no problems, but source flaws were a greater distraction. I noticed periodic examples of specks, grit and marks through the movie. While these never became overwhelming, they occurred more frequently than I’d like. Because The Fly was an extremely dark movie that focused mostly on interiors, very few colors became evident. However, when they did appear, the hues seemed strong. For instance, examine the scene in which Seth and Ronnie went out shopping and for coffee; the light purple of her outfit was vivid. Also, when Ronnie entered the hospital in her dream sequence, the reds and yellows worn by passers-by looked great. Given the movie’s interior focus – and somber tone – a surfeit of bright hues would have been inappropriate, so I was happy these examples were the exceptions to the rule. Black levels were moderately dark and solid, though they could appear a bit inky at times. Shadow detail tended to be a little opaque, but for the most part those scenes seemed accepted clear. Some of the transfer’s issues related to the era’s film stock, while others connected to the prevalence of dark interior shots. It still didn’t excel in many ways, so it ended up with a “B-“. I leaned toward a “C+” at times, but the movie’s strengths were positive enough to merit the higher grade. How did this transfer compare with the one from the original 2000 release? Both seemed pretty similar, but the new image got the nod for increased cleanliness. Though it demonstrated some source flaws, it didn’t show as many as I saw on the old disc. Otherwise the pair were quite a lot alike; it was the lessened degree of print defects that made the new one moderately superior. On the other hand, the 2005 Fly did include a new soundtrack. In addition to the original disc’s Dolby Digital 5.1 audio, this DVD included a DTS 5.1 mix. If any differences existed between the two, I couldn’t detect them. Other than the usual louder volume level of the DTS track, the pair sounded identical to me. These remixes took the original Dolby Surround track and opened it up a bit. The forward soundstage remained dominant, with a nicely active environment in the front channels. The audio integrated well and panned cleanly across the speakers. The rears offered more general support for the most part. These speakers provided reinforcement of the score and effects, but they occasionally kicked in with more active audio during the most dramatic scenes; I even detected one or two instances in which split surrounds were used. The soundfield didn't compete with those found in more recent films, but for a picture from 1986 it worked well. Quality also seemed pretty good. Dialogue sounded natural and crisp throughout the film, with only a few instances of mild flatness that didn't affect intelligibility. Effects were generally clean and accurate, though they displayed slight distortion during some of the louder moments. The score seemed especially strong, as it displayed clear highs and some fairly deep lows. Actually, the mix as a whole packed a surprising punch; the bass won't dazzle you but it appeared above average. A little hiss popped up during a few dialogue scenes, though this didn’t interfere with anything. The soundtrack earned a relatively positive "B+". While the prior Fly DVD offered virtually no supplements, this two-disc release presents scads of materials. On Disc One, we find an audio commentary with director David Cronenberg. He provides a running, screen-specific chat that covers many appropriate topics. 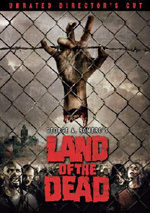 Cronenberg gets into casting, characters, and issues connected to the real-life relationship between the leads, the design of the telepod, technical subjects like motion control and visual effects, dealing with the baboon, the script and comparisons with the original story and movie, themes, and shooting in Toronto. The biggest problem stems from dead air. Too many gaps appear, especially given the brief length of the movie. Nonetheless, Cronenberg offers an insightful and thoughtful take on his movie. He digs into the issues with depth and clarity. These elements overcome the pauses and help make this a solid commentary. Heading to DVD Two, we start with a new documentary entitled Fear of the Flesh: The Making of The Fly. This two-hour, 15-minute and 53-second program uses the standard format. It presents movie clips, behind the scenes materials, and interviews. We get notes from actors Jeff Goldblum, John Getz, and Geena Davis, co-screenwriter Charles Edward Pogue, producer Stuart Cornfeld, original director Robert Bierman, editor Ron Sanders, cinematographer Mark Irwin, production designer Carol Spier, makeup effects/creature design Chris Walas, and visual effects supervisor Hoyt Yeatman. “Flesh” opens with notes about the original short story, the 1958 flick and its re-adaptation. From there we go through problems getting the studio to back the project, finding a director and various ups and downs, Cronenberg’s recruitment and his crew, casting, approaches to the characters, and rehearsals/preparation. As the program continues, it goes through cinematography and lighting, sets and props, visual effects and related techniques like motion control photography, working with the baboon, makeup, Fly-related elements/puppets and other practical effects. The final section deals with previews, editing and cut sequences, and the movie’s release. Really, the only negative I can find here is the odd absence of Cronenberg. Perhaps he figured his contribution to the commentary was enough, or maybe scheduling conflicts led to his absence. Since he indeed participates in this special edition, his failure to appear here remains surprising, though. Not that we truly miss him, as “Flesh” covers the film’s creation awfully well. It goes through many aspects of the production with detail and honesty. We see many deleted shots and alternate takes, and the participants provide excellent information. I especially like Goldblum’s notes about how he approached the role. “Flesh” turns into a very strong documentary. If all that content wasn’t enough for you, then be sure to check out the “Enhanced” version of “Flesh”. With this feature activated, a fly icon will occasionally appear onscreen. Press “enter” when that happens to check out additional interviews. These fill a total of about 26 minutes and include remarks from Cornfeld, Goldblum, Davis, Irwin, Getz, Walas, Bierman and Pogue. If you don’t like the interactive version, the DVD lets you check out the branching components on their own. That’s what I did, as I preferred to watch “Flesh” without interruption. The clips stand alone just fine, though I’m sure they blend well with the longer program. They provide many good stories and add nice notes to the package. Most of them do belong separate from the main show, but don’t take that as a negative comment on the content, as they’re usually quite interesting. Another documentary called The Brundle Museum of Natural History also appears. In this 11-minute and 50-second piece, makeup effects/creature design Chris Walas takes us on a tour of the Fly-related materials now owned by collector Bob Burns. He shows us the various pieces and discusses them. We also find some nice behind the scenes footage that helps educate us about the elements. 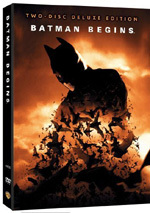 Fans will be excited to check out the DVD’s collection of six Deleted Scenes. Actually, we can watch only three true deleted scenes. We get “Second Interview” (one minute, 44 seconds), “Monkey-Cat” (six minutes, 59 seconds), and “Butterfly Baby” (two minutes, 27 seconds). We can check out “Brundlefly Vs. Bag Lady” only as a script segment. “Monkey-Cat” also offers a look at its storyboards and its script segment. In addition, we find two extended scenes: “Reconciliation” (two minutes) and “The Poetry of the Steak” (three minutes, 40 seconds). Of all these elements, “Monkey-Cat” stands as the most infamous. It merits its gruesome reputation and would have been an interesting addition to the final film, if not a very productive one; it really is too over the top even for The Fly. Some of the other bits just mildly flesh out existing scenes, but some interesting material shows up in this collection. Under the banner of “Written Works”, we find a mix of text features. First comes George Langelaan’s Original Short Story. I can’t say I think it’s very good, but it’s cool to see, especially because it bears so little resemblance to this film’s story; the pair share only a few concepts. For a look at the initial take on the remake, we go to Charles Edward Pogue’s Original Screenplay. It presents many of the basics found in the final film but changes quite a few things. Seth is “Geoff” and he’s married to “Barb”. There’s a lot of interaction with the company that finances him, elements that are totally non-existent in the movie. “Geoff” has a buddy who mediates between him and his surly boss, and he also gains a stray cat as a lab pal. This draft reflects a few influences from the original short story, and it also doesn’t make “Geoff” into the same tragic figure Seth would become. This take falls much more squarely into the realm of standard horror picture. As with the short story, it’s a lot of fun to read this sucker and compare it to the finished flick. Speaking of which, the DVD also presents David Cronenberg’s Rewrite. As one might expect, it strongly resembles the final film. Some variations occur such as an alternate close, but it features many more similarities than differences. This makes it less compelling than the other two pieces, but I still think it’s interesting to give it a look. “Written Works” ends with two Interactive Magazine Articles. These let us check out a piece from the November 1986 Cinefex as well as two compositions that appeared in American Cinematographer. All are quite interesting, though I like the Cinefex article the best. Although that magazine obviously focuses most strongly on visual effects, their stories also tend to offer lots of general notes about the films’ creations, so they’re useful for many reasons. The “interactive” part of things comes from the availability of stills and a few video clips as you read the articles. Under the Film Tests banner we get a few different elements. These include “Opening Title Treatments” (one minute, 55 seconds), “Pod Lighting and Effects” (2:03), “Brundlefly Makeup” (2:19), “Exploding Space Bug” (0:51) and “Cronenfly” (0:50). All of this adds up to a mildly interesting set of pieces, but I can’t say any of them are terribly fascinating. Within “Promotional Materials”, we get two trailers for The Fly, two more for The Fly II, and one each for the 1958 Fly and Return of the Fly. We also find three TV Spots. A 1986 Promotional Featurette runs six minutes, 59 seconds. It included remarks from Cornfeld, Cronenberg, Goldblum, Walas, and Davis. They cover some basics of the story, characters and effects. This doesn’t substitute for the “Flesh” documentary, of course, but it’s much better than the average EPK program. It includes good shots from the set and is an efficient use of time. Also under “Promotional Materials”, we get a 1986 David Cronenberg Profile. The four-minute and 25-second piece presents info about the director from Davis, Goldblum, and Cronenberg himself. It echoes the EPK featurette in that it’s surprisingly meaty and without too much fluff. Finally, One-Sheet and Lobby Card Gallery includes 15 elements. In the same vein, we get some Still Galleries. This area breaks down into “Publicity” (42 shots), “Behind the Scenes” (126), “Concept Art” (111) and “Effects” (149 photos across five domains). All of these are quite useful and interesting. The Fly knocked me for a loop when I saw it theatrically in 1986, and it continues to be an excellent movie. A moving tragedy, it remains deep and involving. The DVD offers erratic but usually good picture with strong audio and an excellent collection of extras. This one’s a must have for your collection, even if you already own the old disc. The new one stands as a terrific upgrade and should replace the original release.